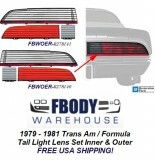 New replacement Fuel Door Lens for 79-81 Trans Am and Formula models. Available with or without Silver bird emblem! This is a set of NEW replacement high polish acron style spin nuts for your 1979-1981 Firebird or Trans Am Fuel Door. 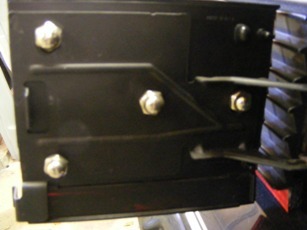 This part mountsonto the driver side tail light assembly and the fuel door assembly then bolts directly onto this part. Unit is GM and have been chemical dipped and repainted. 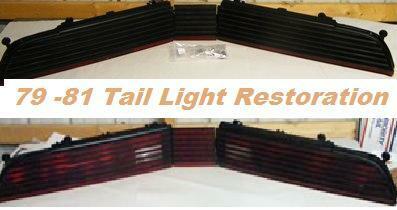 Used GM tail light retainer nut stub mounted pads for use on the following models. 1979 1980 1981 Trans Am. 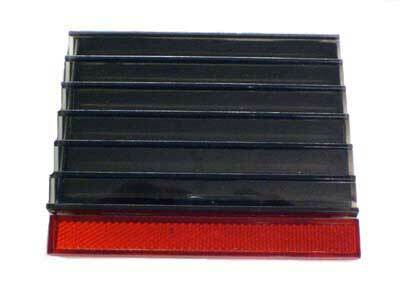 These water proof the tail lights where studs run through the body. Keep the weather out of the trunk! 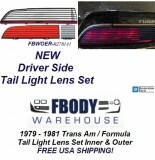 OER® reproduction of the original tail lamp lens assemblies DRIVER SIDE use on for 1979 1980 1981 Firebird Formula and Trans Am models. 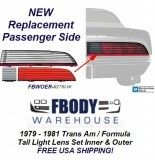 Meticulously manufactured to exact specifications, each injection molded tail lamp lens is designed to fit and install as original and will replace the existing broken or damaged original. Features correct part numbers and OEM markings on each lens. All lenses are painted with correct colored black accents as original where required. All lens assemblies are pre-packaged in a specially designed corrugated box to ensure safe delivery.